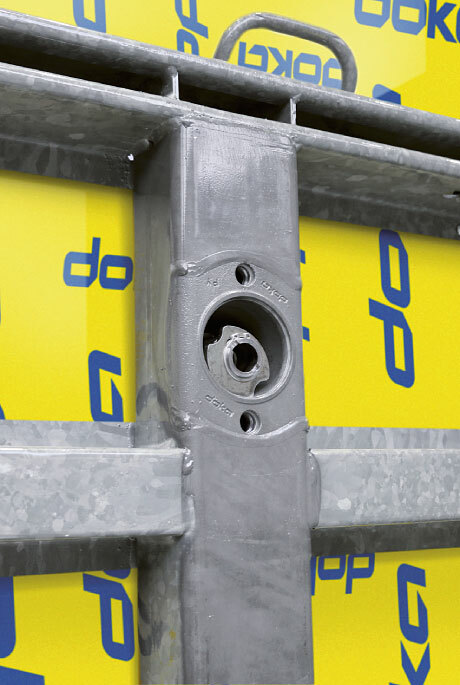 The centrepiece of the new Framed formwork Framax Xlife plus is the Framax Xlife plus form tie. It can be operated from one side and saves up to one third in forming and stripping time. Due to its conical shape, there is no need for jacket tubes and cones. Innovative: Form-tie sleeves are completely sealed without wearing parts. 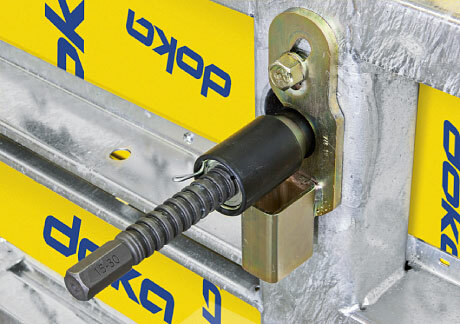 The Framax Xlife plus form tie is particularly compact and keeps both sides of the formwork safely in place. 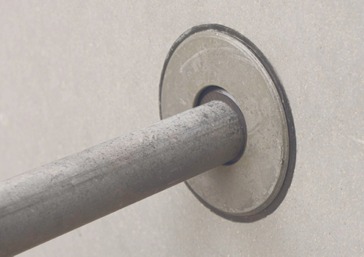 It takes only one person to thread it through the large form-tie sleeves from the side of the closing formwork and screw it into the built-in form-tie nut of the holding formwork on the opposite side. 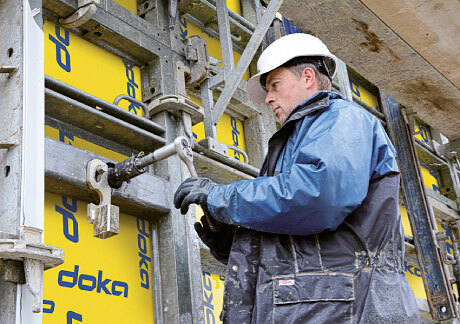 Once set, wall thickness remains reliably intact — even after stripping. Accelerated work progress as there is no need for re-aligning. 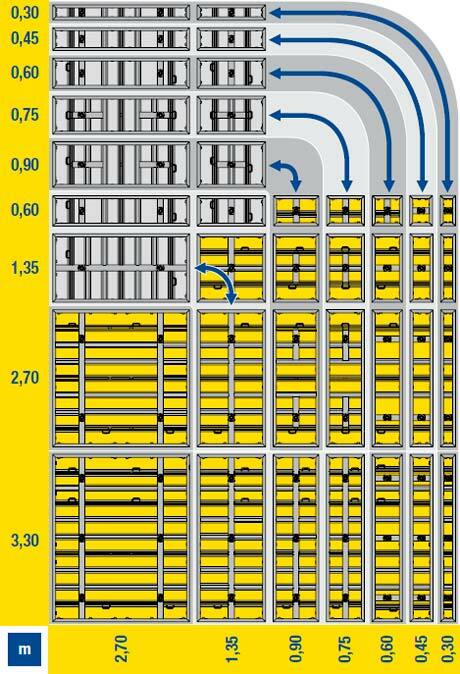 Wall thickness is set by way of grooves in the form tie that are arranged in a 5-mm increment-grid. No need for costly and time-consuming replacement of wearing parts as form-tie sleeves create steel-on-steel sealing for form ties. Thanks to its 'parking' position at the form-tie point, the form tie is readily at hand. 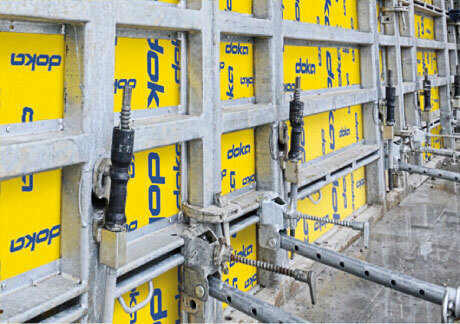 Without the need to remove the integrated form-tie nuts I in the holding formwork, panels are stacked even faster and easier. Horizontal stacking with only a few standard panels thanks to square-shaped basic element. The well thought-out system logic creates a well-arranged form-tie and joint pattern no matter the panel combination. Thank you for your interest - Framed formwork Framax Xlife plus. Thank you very much for your interest - Framed formwork Framax Xlife plus.